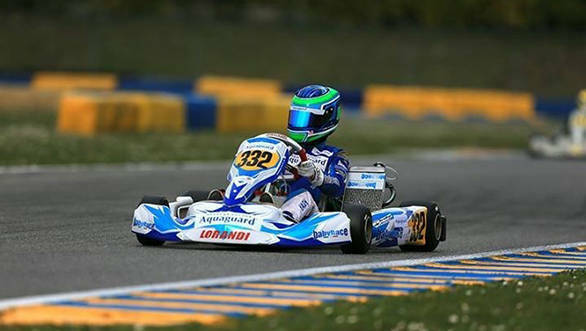 Yash Aradhya, the 13-year old who's made quite a name for himself in the Indian karting scene, is now participating in the WSK Super Masters Series in Italy. He is racing the entire season for team Baby Race in the OK Junior (OKJ) category. In each round of the championship, only 33 drivers make it to the final race. The first round took place between March 3-6, 2016 at the International 7 Laghi Kart circuit. Yash was just 1.6 seconds and 1.27 seconds off the fastest driver at the end of the first and second warm-up sessions. On the next day, the track was declared unsafe because of rain and ice and the heats were cancelled. In the qualifying session, Yash managed to finish .87 seconds off the leader. However, the level of competition was so high that even that landed him 61st out of 73 drivers. To make it to the finals, Yash had to finish within the top 17 in the semi-finals. Starting 31st from the grid, Yash only managed to cross the line in 24th place. Round 2 of the 2016 WSK Super Masters Series was held from March 17-20 at the International Napoli Sarno circuit. Yash, who by then had some experience with racing in these conditions, managed to qualify 19th in a grid of 27 drivers and 38th in a grid of 59. After the heats, Yash started 23rd from the grid in the pre-finals and finished 21st. Again though, he needed to finish in the top 17 to make it to the finals. The third round, which was held at the International Circuit La Conca from March 31 to April 4, didn't go as well as he had hoped. Although Yash was just .8 seconds off the leader in the first warm-up session, he was involved in a racing incident in the second session. He fell off his kart and was immediately taken to the hospital. Fortunately there were no major injuries, although he did complain of a headache. That certainly didn't stop him from continuing to race the next day where he qualified 25th. In Heat 1, he made up six positions, but was awarded a 10-second penalty because his kart's front bumper fairing was fit improperly. In Heat 2, he was disqualified for causing a racing incident which was described by the Stewards as an "avoidable collission/accident in Lap 9." In the pre-final race, Yash started last from the grid and finished 23rd. Again, this wasn't a good enough finish to qualify for the final race. This series is Yash's second season abroad after last year's CIK-FIA Academy Trophy. According to his father, Sujith Aradhya, the plan is to give Yash maximum exposure to European karting in 2016, so he can aim for a podium finish there in the 2017 season. 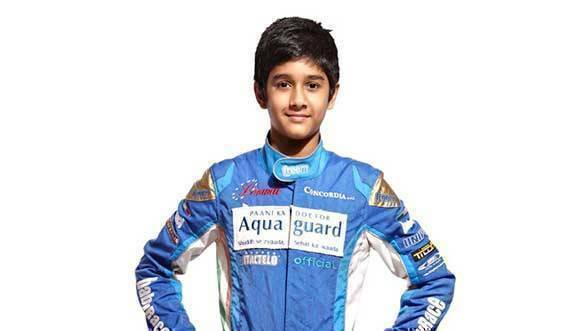 Last year, Yash was nominated by the FMSCI to participate in the CIK-FIA Academy trophy after winning the Micro Max category in the 2014 JK Tyre Rotax Max National Karting Championship. While he didn't make it to the final round of the championship, his performance showed that he had a lot to learn before he had a chance at beating his European rivals. Under the guidance of Akbar Ebrahim and Armaan Ebrahim, Yash will also compete in the Indian national karting championships, which he hopes to dominate this time around. Last year, he made a jump to the Junior category in the JK Tyre Rotax Max National Karting Championship, and managed a fifth place finish. The final round of the WSK Super Masters Series is scheduled to be held on May 19 at the Adria International Raceway. We'll keep you posted on Yash's progress this season. Watch this space.